Welcome to my Wuffings’ Website, which aims to provide a focus for the study of the history and culture of the Wuffing Kingdom of East Anglia and beyond. Saturday Study Days with Wuffing Education – Saturday Study-Days on the history, archaeology, literature, landscape, music, and art of medieval England in general and of the Anglo-Saxon Wuffing kingdom of East Anglia in particular and its background. My Wednesday morning seminars: Old English Language, Literature, & the Golden Age of Ængland – We shall continue our course exploring Old English language and literature, art and culture, and the Golden Age of the early English-speaking peoples. 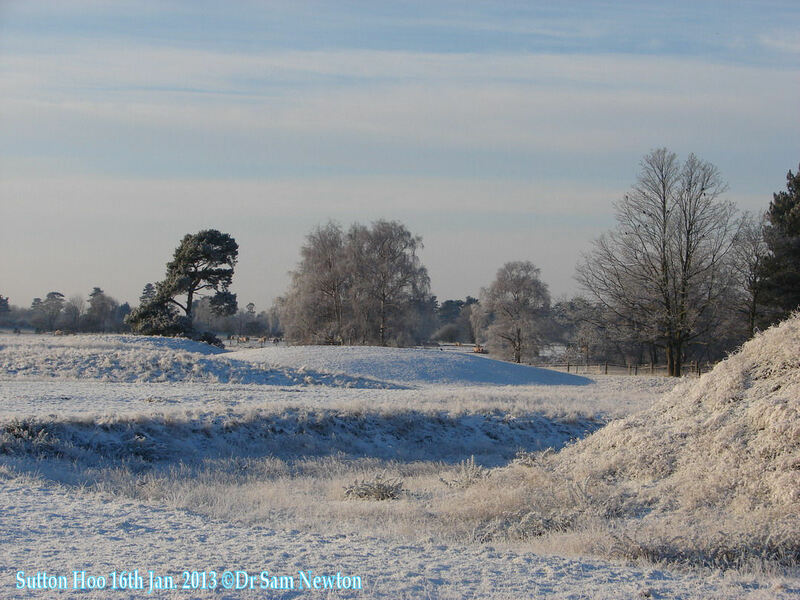 My Walks and Talks with the National Trust at Sutton Hoo – Solstice sunset talks and walks (and equinox walks) across the sacred turf Sutton Hoo. If you wish to book me for a lecture or day of special interest, please click here for a selection of my currently available PowerPoint Lectures and/or Study-Days.